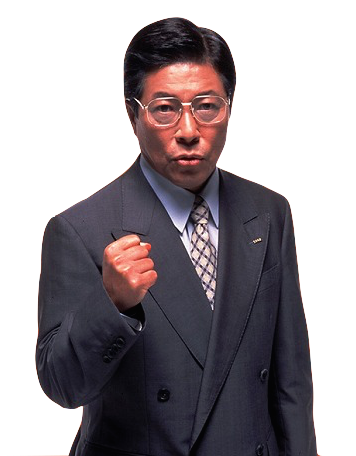 DCJY: Could you tell us a little bit about who makes up the Alice Dreams Tournament team and how you got together? Julien Desquenne: Our team consists of Nicolas Pochet the graphic designer and me, Julien Desquenne the programmer. We met in 2003. In fact, I began to program a platform game and I was looking for a graphic designer to help me on the graphic parts. 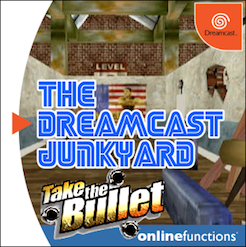 I really wanted to realize this game on Dreamcast. So I posted my research of a graphist on a Dreamcast French forum (dcreload.fr) and Nicolas replied very quickly and introduced me to his drawings. I was very impressed by his artistic talent and we decided to work on a common project. That's pretty cool, meeting on a forum and now working together. Could you tell us more about how Alice Dreams Tournament came to be? It's a long story! We first worked on the project of a platform game. In 2003, Nicolas read the novel by Lewis Carroll, Alice in Wonderland, and proposed to me the idea of a modern Alice in a different vision. We worked on this game until 2006. At the end of each stage, we wanted to unlock a mini game. So we worked on a clone of Bomberman, playable by 4 players simultaneously. And then, we read about a contest (Dream On Contest 3) and we wanted to present this mini-game with 3 additional game modes. The contest was canceled but we presented the game to some players in a retro-gaming event and they encouraged us to continue to develop the game. Wow, so Alice Dreams Tournament started as a mini-game in a larger adventure. as you say, there's clearly an air of Bomberman here – are you fans of that game and what is your history with Hudson’s series? Nicolas enjoyed a lot Dyna Blaster on PC, and then Bomberman series on Super Nintendo with his friends. 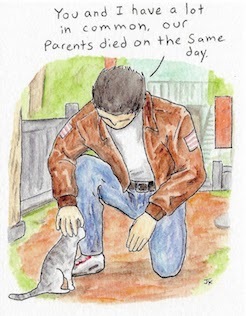 For me, it was also on Super Nintendo at a friend's home! 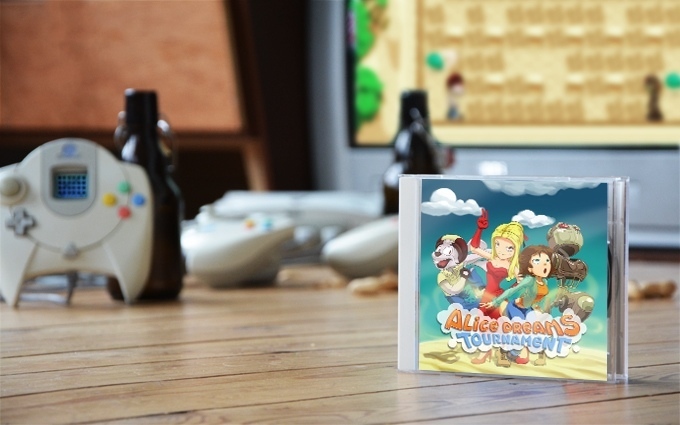 When we thought about making a multi-player game, we both thought about the concept of Bomberman. Yes, we're fans of this game! The aesthetic style is very unique – was this cartoony visual style an important aspect of the design process? Yes, because the sprites are small (32*64 pixels), so it would be hard to make the characters realistic. 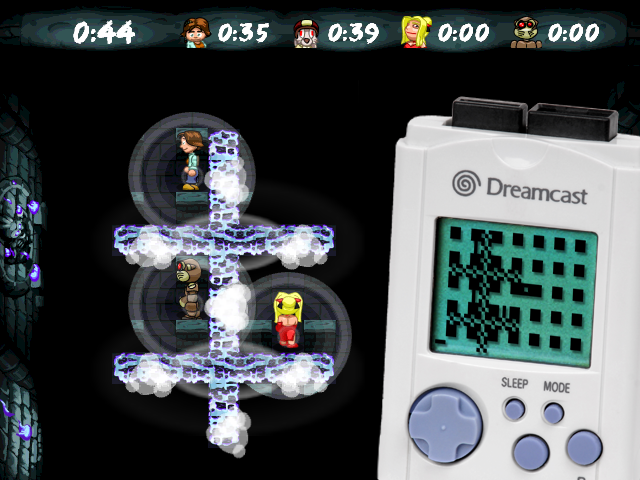 The use of the VMU screen in Alice Dreams Tournament is very inventive – how did you come up with this ingenious use for it? We were inspired by Pac-Man Versus on Gamecube, which uses the GBA in a unique fashion. One player controls Pac-Man with the GBA, which displays the entire maze, while the other players control each of the ghosts with the Gamecube controllers. Each time the Pac-Man is killed, the killer ghost takes its place and the two players exchange the GBA and the controller, pausing the game. 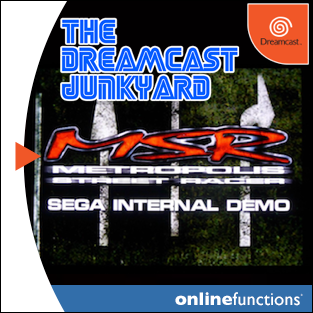 At the time I was looking at all the possibilities offered by KOS (free Dreamcast development system) and a function allows to display an image on all connected VMUs. So, I re-wrote this function to be able to display a different picture on each player's VMU. Then we were able to propose asynchronous gameplay without the necessity of pausing the game! That's really impressive work. On the subject of the VMU, we’ve seen the cool prototype light unit. 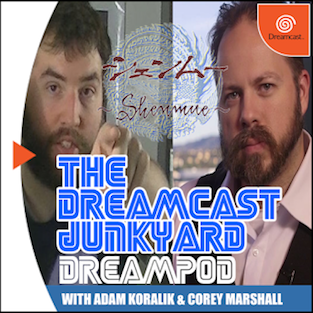 Do you think the VMU was under-utilised by mainstream developers during the Dreamcast’s life? Yes, there could have been a lot of gameplay opportunities and very little have been developed. That said, it is very surprising to see that even Nintendo has difficulties trying to exploit the asynchronous concept for Wii U! Multi-player seems to be the main focus of your game - will Alice Dreams Tournament have a single player campaign or is it strictly about recreating the local multi-player fun of yesteryear? No, Alice Dreams doesn't have a single-player campaign. This takes a lot of time to develop. I don't know if many people have finished the single player campaign of Bomberman, so with this in mind we thought it was better to take more time to improve the multiplayer game modes. That's a fair point regarding the Bomberman single-player mode. 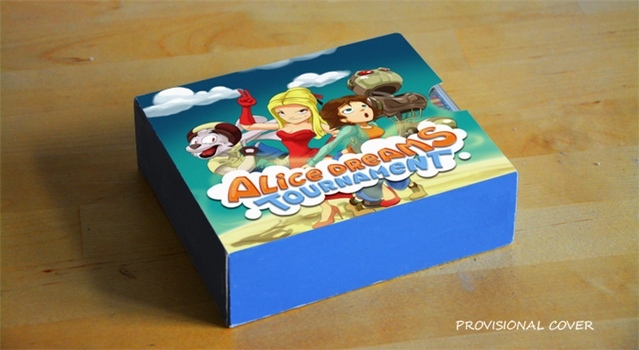 Moving on, Alice Dreams Tournament has had a lot of support and met its Kickstarter goal very quickly. Did this surprise you? It's really amazing, again we'd like to say a big thank you to everyone who contributed to this success. 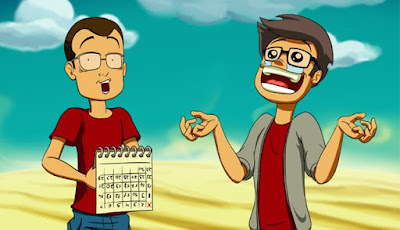 We thought that we would have to get stressed a whole month to perhaps reach the goal and finally we did not have to stress too long: just 28 hours! Players who have followed us for a long time were the first to contribute and they said to us that they had no doubt about success. For years, we presented the game at many events and it's crazy to say that the game had been already played by about 1500 players before the start of the Kickstarter campaign! We are very fortunate to have met so many good people who continue to support us. 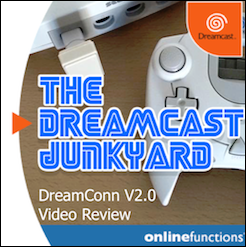 That's great - the Dreamcast community is really supportive of new software and hardware. 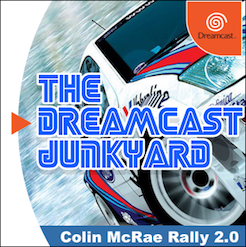 On this subject, there are a lot of exciting indie releases coming for the Dreamcast. Why do you think the system is enjoying this renaissance lately? 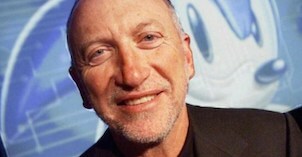 The Dreamcast is still very attractive. This is the last SEGA console, and it holds a very important place in the hearts of retro gamers. 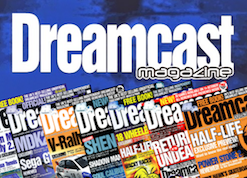 There is a great enthusiasm for retro gaming and Dreamcast happily remains at an affordable price. To develop on this console is also accessible thanks to the exceptional work of people who made KOS. Which other indie games (if any) are you looking forward to yourselves? 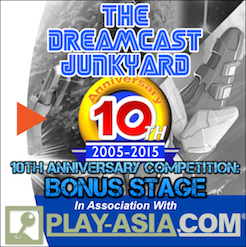 I'm curious about each of the new indie Dreamcast games, especially Elysian Shadows! Yes, Elysian Shadows is an exciting prospect - Falco Girgis occupied this very spot a few months ago! 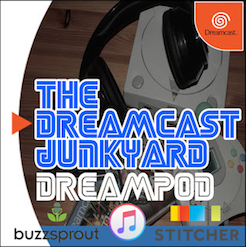 Here's an interesting question - would the Dreamcast have had a longer lifespan if Sega had embraced indie development from the start with Dreamcast? Similar to the way current gen systems do? 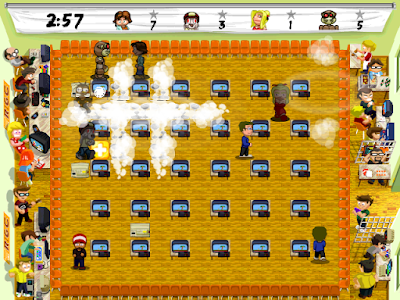 During its commercial period, small independent games were not very popular. It was the battle for the most impressive graphics. On the current generation, 2D games have become popular again. 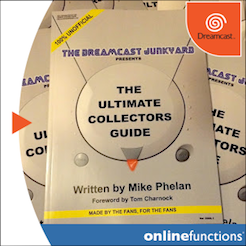 Were you fans of the Dreamcast back when it was a contemporary system? We both got Dreamcasts after its commercial life. Nicolas was attracted by emulators, and on my side, I bought one to program for it! 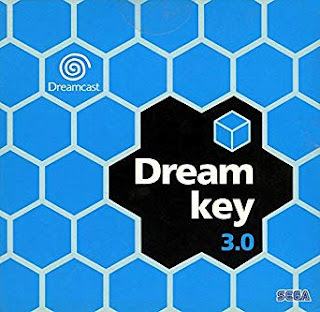 What are your favourite games for the Dreamcast? Lastly, the eternal search goes on. We have to ask: do you know who the barber from the Dreamcast advert is?! Haha! This advert is very strange! 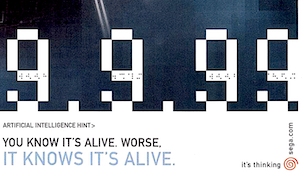 Another thing Dreamcast was in advance: it had an advert which created a buzz! Such a nice buzz that you still think about it today! 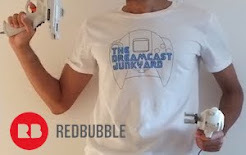 Dreamcast was made to be played everywhere and in every time, even in 2015! We'd like to give massive thanks to Julien for taking the time to answer our questions. At the time of writing, the Alice Dreams Tournament Kickstarter is still open and you can still pledge - we very much hope you will as some of the stretch goals are pretty cool. 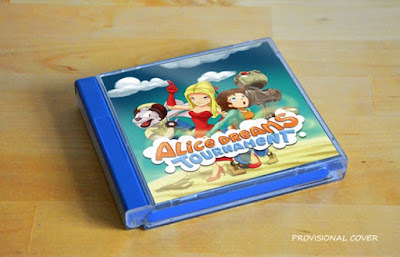 The magic of local multi-player gaming has been lost somewhat in this age of internet gaming, but hopefully Alice Dreams Tournament will go some way to restoring it on Dreamcast. I think they know something about the barber that they are not telling. Man I remember playing Alice Dreams way back when. Ice Cream cones and that DANG falling level. Man I felt like a champ when I FINALLY got past the falling level. I already backed the game and can't wait to get my copy for a retro game tournaments! I remember playing the original too - never managed to find the bomberman mini game!